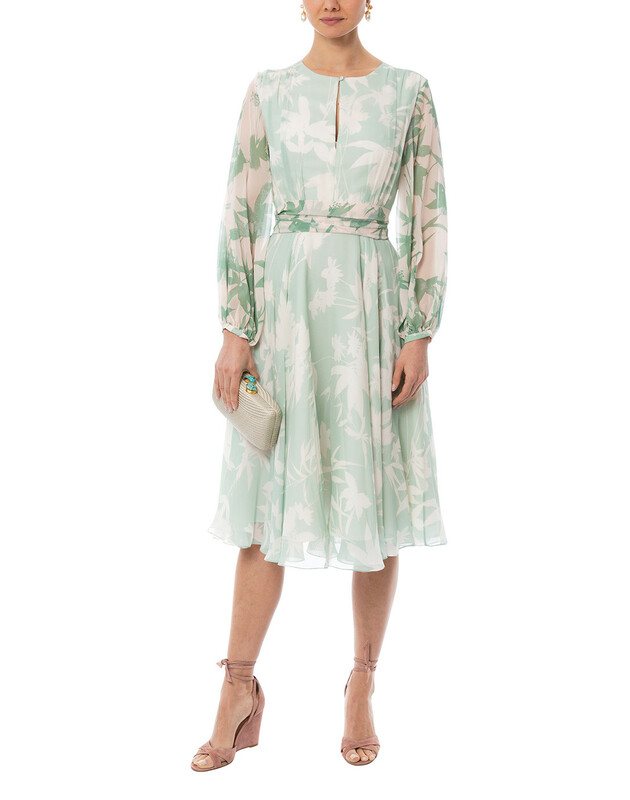 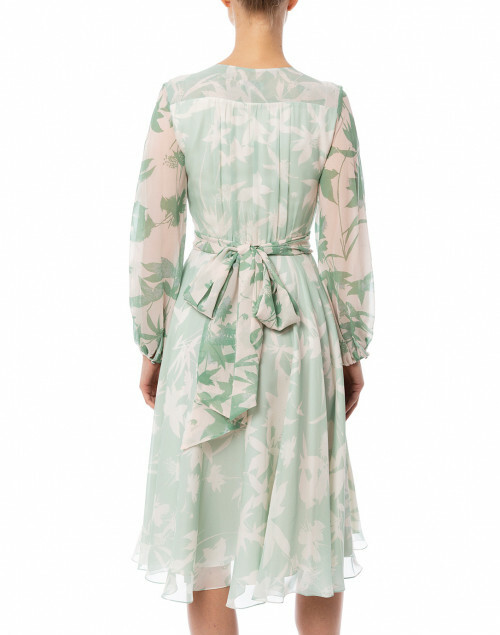 Beulah's Nandita light green floral dress is produced in Italian silk chiffon fabric for a comfortable and luxurious fit. 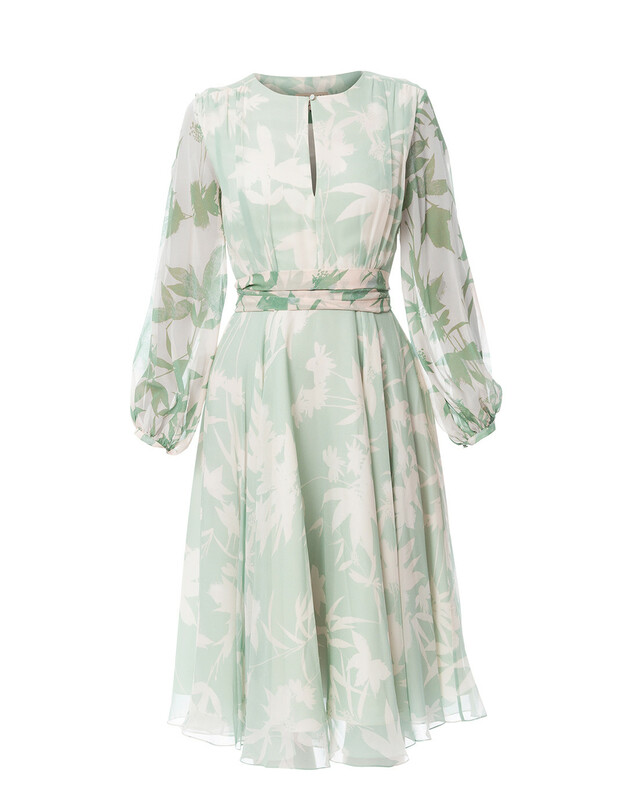 This midi length long sleeved pale green printed dress is decorated with a bold floral oriental design and includes a tie belt for easy styling. 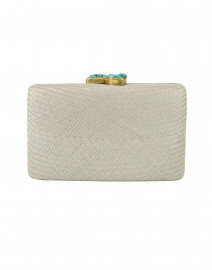 Pair it with neutral accessories for a feminine evening look. 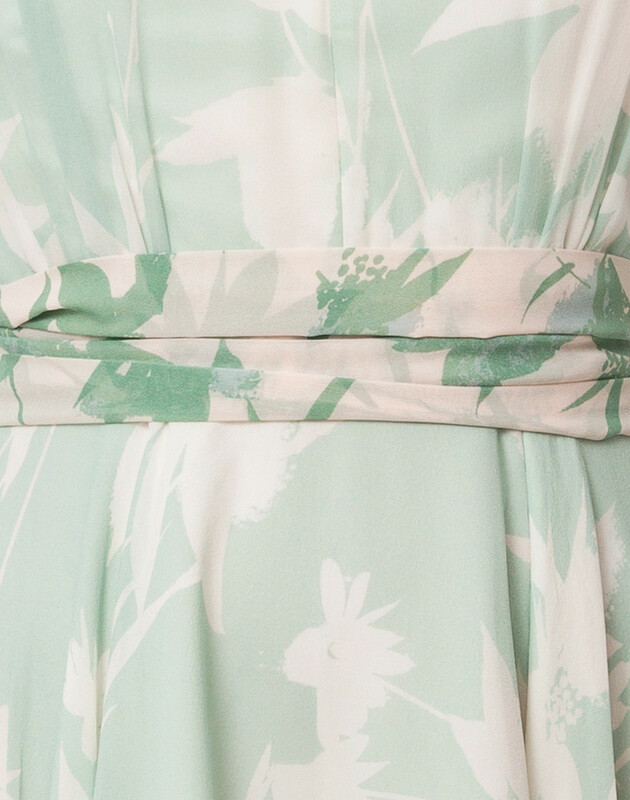 Length 43" 43" 43" 43.5" 44" 44.5"
Shoulder Width 14.5" 15" 15.5" 16.5" 17" 17.5"
Waist 26" 26" 28" 30" 32" 34"
Sleeve Length 24" 24" 24" 24" 24.5" 24.5"